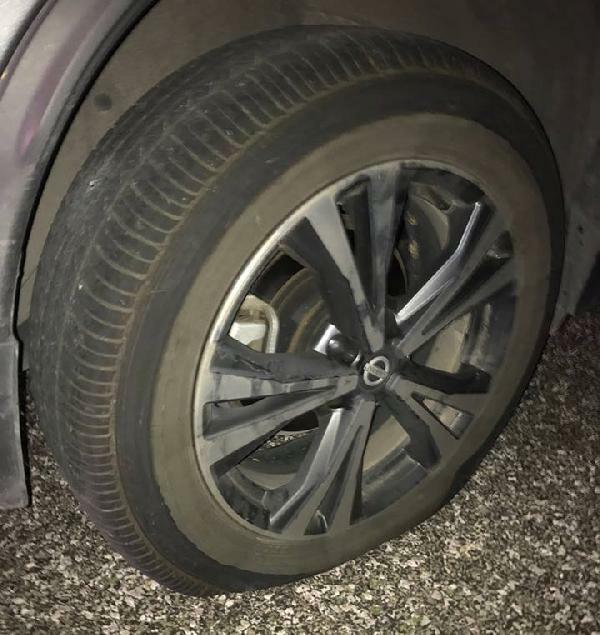 3 tires on Moneck Smith's vehicle were flat after being spiked by state troopers. 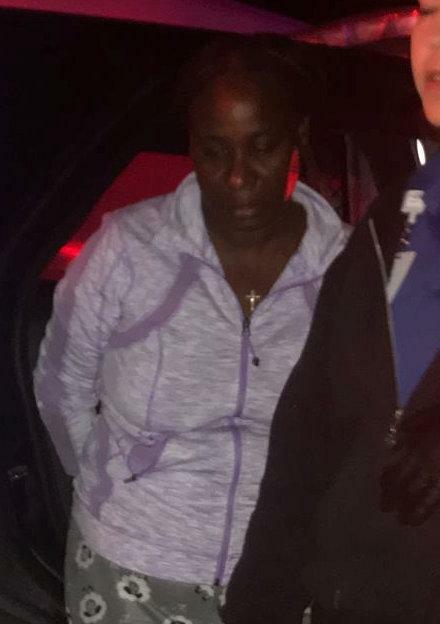 High Speed Pursuit Ends in Livingston, LIVINGSTON, March 16, 2018 - A vehicle pursuit that began in Panola County ended in Livingston after the suspect vehicle was spiked twice. Shortly after 8 pm, the pursuit entered Corrigan. 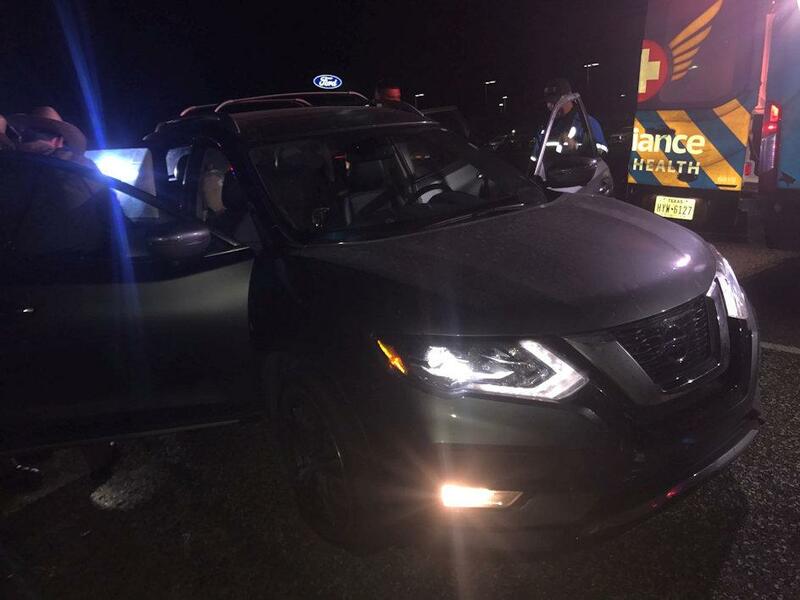 Officer Tyler Johnson with Corrigan Police Department joined the pursuit of a gray 2017 Nissan Rogue, driven by Moneck Smith, 48, of Houston. Early in the pursuit, Smith's vehicle had allegedly struck a Trooper's car in Panola County. The high speed pursuit reached speeds reportedly up to 119 miles per hour. Smith refused to stop in spite of all the obvious police cars and flashing lights. Troopers Colton McQuilkin and John Allen were waiting in south end of the Livingston City Limits with vehicle spikes. As the chase went under the South Livingston overpass, Trooper McQuilkin successfully spiked Smith's tires. Less than a half mile later, Trooper John Allen spiked her tires again. Smith pulled over less than a mile later on the right side of the pavement on the south-bound side of 59. She was arrested without further incident. EMS personnel from Americare Ambulance Service were dispatched to check on Smith. Smith checked out okay. Smith was placed under arrest, driven to Polk County Jail, and is facing a list of charges. Her vehicle was recovered by LakeView Wrecker and will be stored in Livingston. 48 year old Moneck Smith, of Houston, is checked by EMS personnel. She checked out okay and was driven to Polk County Jail. Smith was driving this 2017 Nissan Rogue. 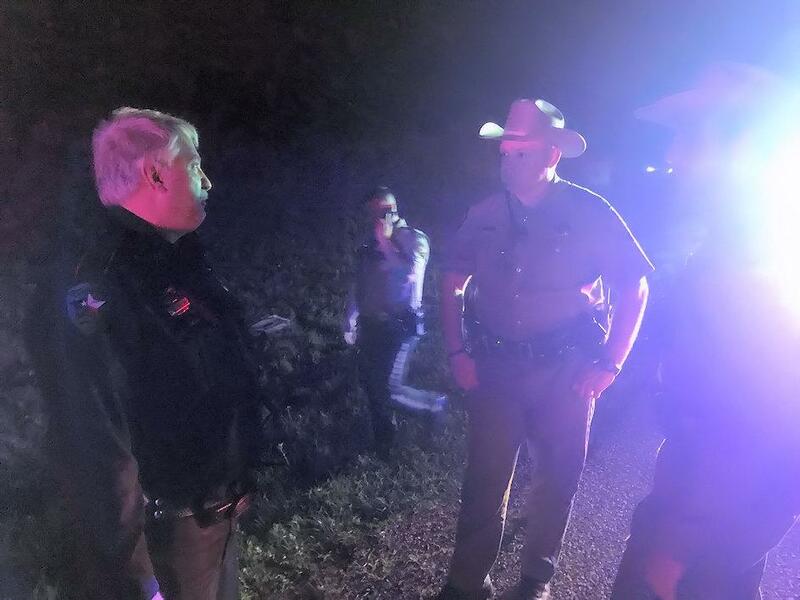 Officer Steven Dickens (left) with Corrigan Police Department, speaks with Troopers John Allen and Colton McQuilken. Allen and McQuilken successfully spiked Smith's tires and broght the chase to a safe end.